Little People of Willow Vale is a small personal Nursery. It was opened in April 1993 and takes up to 30 children. It is situated in a very pleasant cul-du-sac off the Uxbridge Road in Shepherds Bush. 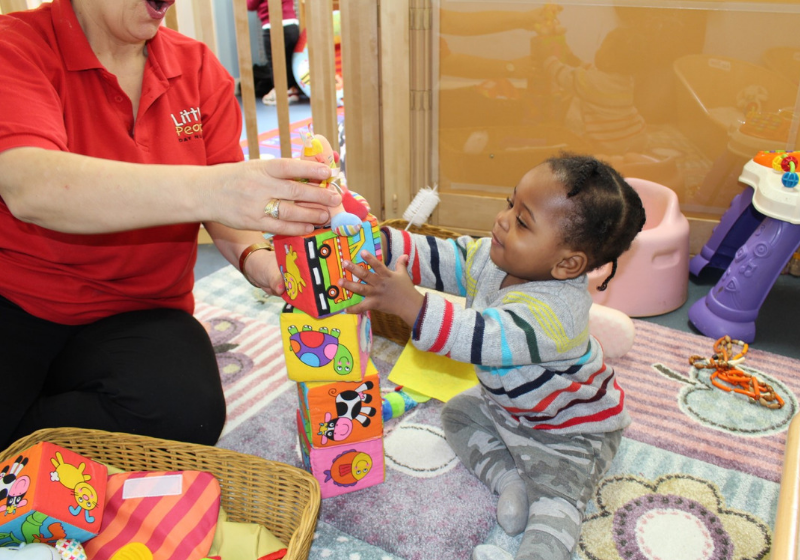 Willow Vale Nursery provides a warm, friendly and caring environment for babies and toddlers from 4 months – 5 years old with excellent outdoor and Montessori facilities. The nursery has a new baby room, 2 classrooms, a large garden and a small back garden. The main classroom offers a large open space for play and classes as well as a reading corner, home style comfort corner and a role play area. The second classroom is the Montessori room where the children explore Montessori learning activities, as well as enjoying the use of the attached outside learning space with a mud kitchen and a growing garden area. Little People of Willow Vale has the additional benefit of a large nursery garden with an outdoor sensory play area for the children to explore as well as a climbing area and digging zone. The children experience a fantastic range of weekly activities including Spanish classes, yoga, gymnastics and ballet lessons with specialised instructors and football coaching from QPR Football Club. The nursery offers three freshly prepared meals a day plus snacks for the children, all prepared on the premises by our cooks with the majority of our produce from organic suppliers Abel and Cole. We have daily access to the local parks, markets and a local library and the nursery runs a comprehensive Forest School programme each week, read more about this here.